This study conducts a time-dependent probabilistic tsunami hazard analysis using stochastic rupture sources, which enables the consideration of numerous heterogeneous earthquake slip distributions. Earthquake occurrence modeling is based on temporal renewal and magnitude recurrence models. 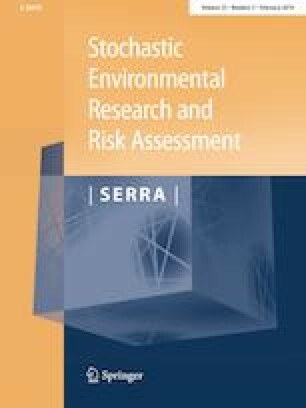 To account for various combinations of alternative models for temporal occurrence process, earthquake magnitude distribution, and spatial earthquake slip distribution, a logic-tree approach is implemented, facilitating more comprehensive characterization of epistemic uncertainties for the stochastic rupture source approach. To demonstrate the effects of different model components on tsunami hazard curves, a case study for coastal plain areas of Miyagi Prefecture in Japan is set up. The sensitivity analysis clearly indicates that the selection of renewal and magnitude models has paramount influence on the tsunami hazard results. The results also depend on the situations of interest in terms of current time and time-horizon with respect to the recurrence process of the earthquake rupture. In light of significant uncertainties of tsunami hazard and risk due to future mega-thrust subduction events, consideration of epistemic uncertainties is of critical importance. This work was supported by the Leverhulme Trust (RPG-2017-006) and the Canada Research Chair in Multi-Hazard Risk Assessment program (950-232015). The author is grateful to three anonymous reviewers for their constructive comments and suggestions.